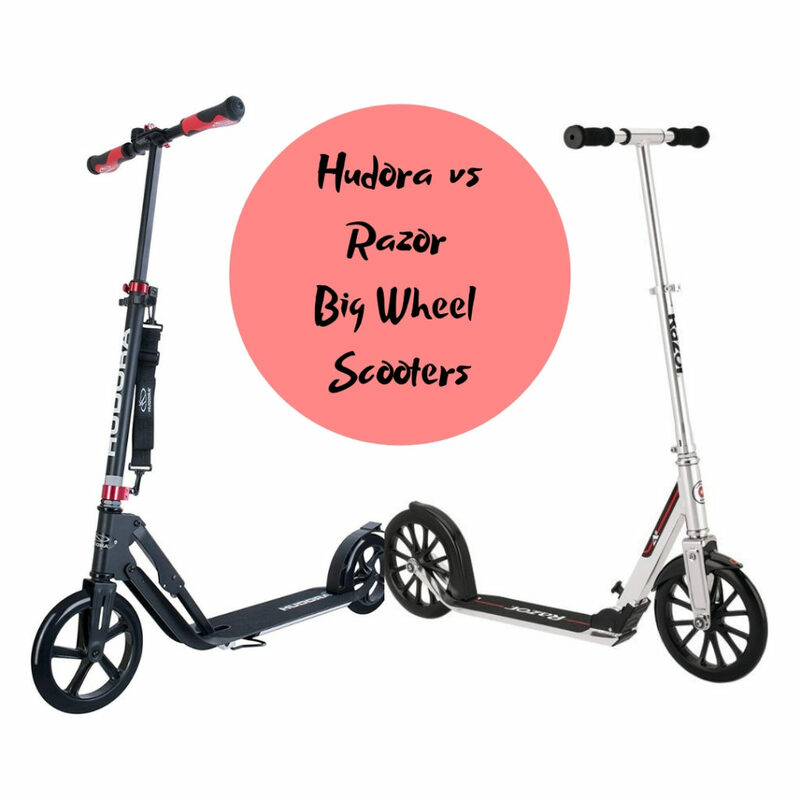 Hudora (scooter brand in Germany) and Razor (scooter brand in US) are both well know brands of scooter and in this article we compare their big wheel scooters. Taller and Heavier Rider - This is a good choice for the taller rider as the handlebars extends all the way up to 104cm as opposed to Razor's 97cm top height. It also has a max rider weight of 100kg (15.7 stone). Carry Strap - the carry strap can be extremely useful when you want to carry the scooter on and off public tranport or perhaps up a steep hill. Low Deck - The A5 Lux has a lower deck to the ground at 6cm between the ground and the deck (as opposed to 8cm on the Hudora). This can be quite advantageous as a lower deck tends to offer a comfortable ride. A lower deck means that your pushing leg has less to drop when pushing against the ground. The more it has to drop, the more your leg has to bend which means more work. 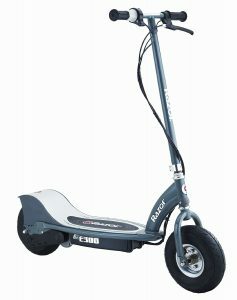 Reviews - Over on amazon.com this scooter has thousands of positive reviews which are worth checking out. For The Heavier and Taller Rider - This is a good choice for the heavier rider weight of 120kg (18.8 stone). The handlebar also extends up to 106.5cm so it's a good choice for taller riders too. Bigger Footplate - the footplate is 44cm long compared to 34cm in the Razor. The width is 14cm. This means the Hudora will accommodate bigger feet much more easily. Hudora - Hudora is an establised brand in Germany of (designer and maker of scooters). Bigger wheels - the Razor A6 has very big wheels. The bigger wheels at 254mm (10 inches) will take riders further much more quickly and effortlessly. Bigger wheels also offer a more smooth and comfortable ride as bigger wheels absorb vibrations and shocks from the bumps in the pavement much more easily. Extra high handlebar - the handlbar adjusts all thw way up to 106.7cm meaning that it makes a good choice for taller riders who are under the 100kg weight limit. Low Deck - Like the A5 Lux, the Razor A6 has a lower deck to the ground at 6cm between the ground and the deck. It's much more comfortable to ride a scooter with a lower deck because the leg which pushes has to bend less. 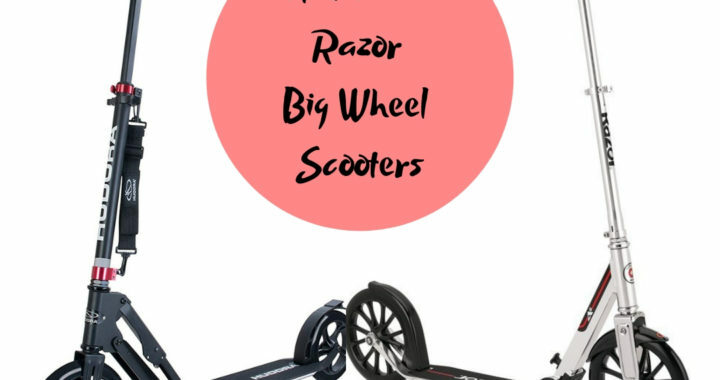 Razor - is an establised brand in the US of (designer and maker of scooters). 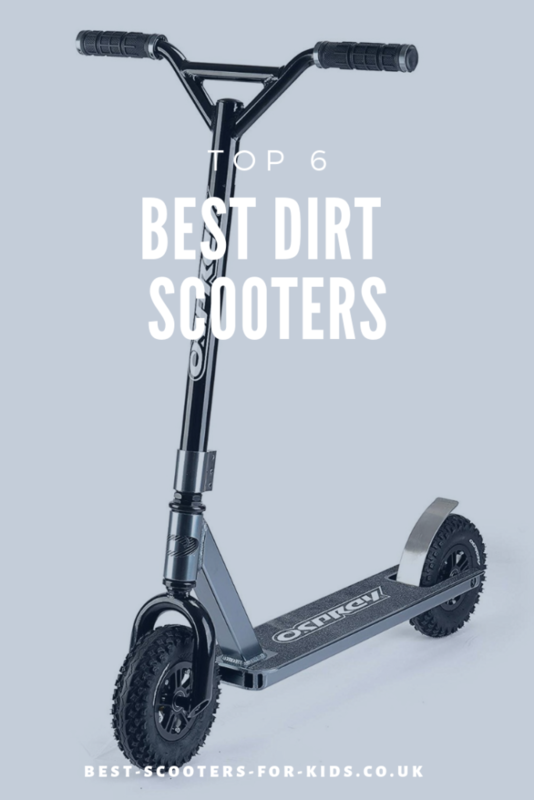 Over on amazon.com this scooter has thousands of positive reviews which are worth checking out. 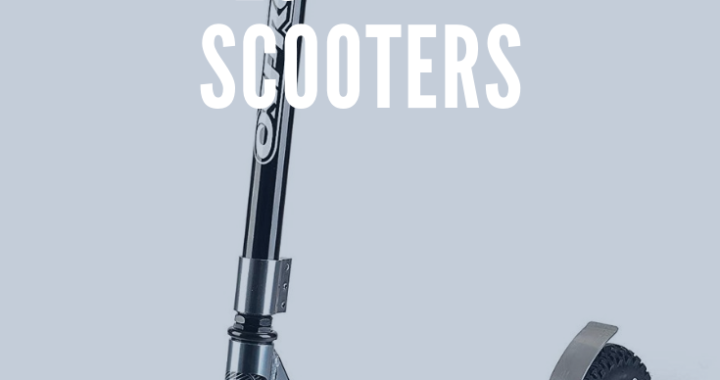 For The Heavier and Taller Rider - Like the other Hudora scooters, this is another great option for the heavier and taller scooter rider. The maximum load capacity is 120kg (18.8 stone). The handlebar extends up to 105cm, not quite as far as on the other models but still very high so it's a good choice for taller riders too. Dual Brakes - this has a front handbrake, which is a very nice option, often only find on higher end scooters. The rear foot brake is still there too. Wheels - at 23omm the wheels are bigger than on the Razor Air A5, meaning they will get you further faster. Low Deck - like all the other Razor scooters in this article, the Razor A5 commuter scooter has a deck which is very low to the ground. This is generally good as it means that your pushing leg has to bend less to push you along meaning a more comfortable ride. It will make kicks easier and riding long distances a lot less tiring. Some people have criticised the Razor for having too low a deck clearance but a higher deck will be more tiring to ride. So it's a personal decision but if definitely don't exceed the weight limit on this one. Many scooters have a weight limit of 100kg (15.7 stone). 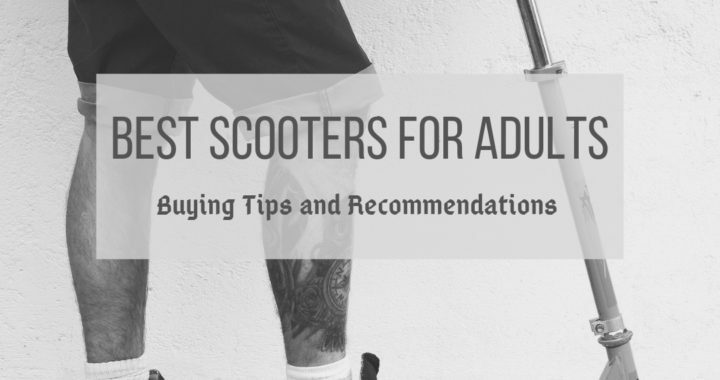 However as scooters are becoming more and more popular as a method of commuting, there is an increased demand for scooters for adults who weigh more than this. This article has lots of suggestions of scooters with a load capacity ranging from 120kg to 150kg to a whopping 363kg in weight. They accommodate different budgets ranging from the crème de la crème to more affordable options. Some of the scooters feature pneumatic (air filled) tyres and others have urethane tyres. Who's the SwiftyONE MK3 Good For and Why? The SwiftyONE MK3 is a high quality commuter scooter very much designed for adults who want to get from a to b quickly. It makes a great alternative to a bike. The large wheels with high pressured pneumatic tyres give a speedy and comfortable ride. At 1.3m by 55cm, the scooter is like a bike in stature, large enough to get you where you want to quickly. But it also can be folded down compactly (1.06m by 16cm)making it easy to fit on a luggage compartment on a train, in a hallway at work or home or wherever you want to store it. Wheels - larger wheels on scooter will get you faster, further with less effort and there aren't many scooters with wheels as big as the swifty. The 16 inch (305mm) wheelsets offer optimum comfort, speed and stability. The air filled tyres will offer comfort absorbing vibrations on even the most bumpy of urban terrain. Frame Geometry - the frame has been designed to offer a comfortable upright, riding position so you will look good while scooting and more importantly will feel comfortable. Rider height and weight - The max rider height is 6'2" (188cm) but there are riser bars available for 6'5" (195cm). It will accommodate riders up to 150kg. Front and rear brakes - the scooter has both a handbrake and rear footbrake which you don't find on many commuter scooters. Verdict - this is a excellent top of the range commuter scooter perfect for adults that are serious about their scooter rides. Who's the Swifty MK2 Dirt Good For and Why? The Swifty MK2 Dirt is a dirt scooter, designed for off terrain adventures. It's brilliant for off-road trails, jumps and dirt riding. This scooter can be taken on any terrain. It's solid, durable and strong but also light enough to carry or to fit in the car. Wheels - the wheels are 16 inch (305mm) and wrapped in Aresbikes A-class tyres. They features double wall rims, strong and fast alloy hubs, sealed with cartridge bearings and 36 black, stainless steel spokes per wheel. These wheels are strong and fast and designed to take you anywhere. Weight of Scooter - the scooter weighs 8.9kg. It tests riders carried their scooter up to peaks over their shoulder and rode down. Where to take the Scooter - the scooter has been tested on iconic peaks such as in Snowdonia in Wales. It could also be used on canal paths, country paths or any countryside trails. Rider height and weight - The max rider height is 6' (182cm) but there are riser bars available for 6'2" (188cm). It will accommodate riders up to 150kg (330lbs). Front and rear brakes - the scooter has both a handbrake and rear footbrake. Verdict - this is an scooter for adventures but it could also be used on a commute where traversing over rougher terrain is required. Who's the Hudora Big Wheel 230 Good For and Why? The Hudora big wheel scooter has a large 230mm front wheel which will take you further more quickly. 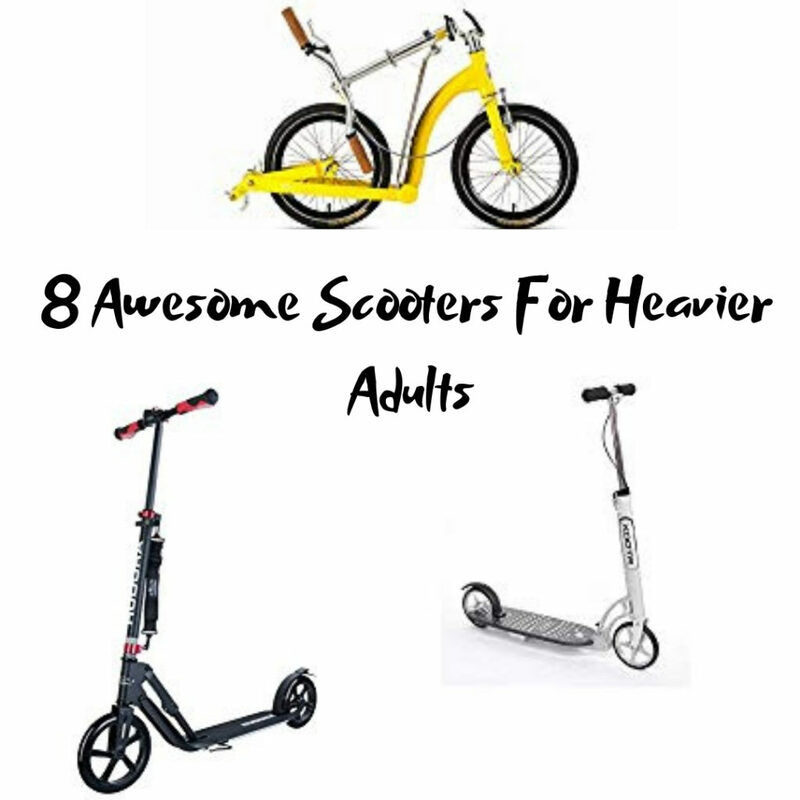 With it's big wheels, shoulder strap, reflectors on the the handlebar and deck and folding mechanism it makes a good commuter scooter for adults in an excellent price range. The height adjustable handlebar means it can also accommodate kids and teens as well as adults. Weight of Scooter - is 5.2kg which is fine to carry on and off public transport. The scooter has an adjustable shoulder strap and is foldable which makes it easy to carry when you need to. Where to take the Scooter - the large urethane wheels mean the scooter is good for urban terrain such as concrete paths and pavements. Rider height and weight - the handlebar can be adjusted from 88 to 106.5 cm so it's great for adults of all sizes including the taller rider. It will accommodate riders up to 120kg (264lbs, 18.8 stone). Brakes - the scooter features a rear fiction brake. Verdict - the hudora 230 is a fab scooter for urban commuters. It folds down quickly and with it's carry strap it's great to take on public transport when needed. Who's the Xootr MG Good For and Why? The Xootr MG is another top of the range commuter scooter for adults. What's different about this scooter is that it's lightweight but strong. At 4.7kg it's one of the lightest on the market but it can accommodate riders of all weights. The design of this scooter offers comfort and convenience with a wide deck and front handlebar brake. As it's lightweight and can be folded down very compactly it's a great one to take on public transport. It features a solid magnesium wide deck which is lightweight but strong. The wide deck makes this scooter comfortable to ride as you can rest both feet side by side. It's height adjustable, has 180mm wheels, can fold down very compactly and looks modern. Wheels - the wheels measure 180mm and will give a quick commute without adding weight to the overall scooter. Bigger wheels will get you there quick but they will also be heavier to carry on public transport. Deck - the wooden deck offers flexibility meaning the Cruz is forgiving over road and pavement bumps and cracks such as postholes. The deck is wide (at 20cm (7.9") so you can cruise with your feet side by side.The length of the deck is 61cm (24"). Lightweight - the scooter is lightweight for a kick scooter for adults at just 4.7kg. This means it's easier to carry when you need to. Rider height and weight - The scooter accomodates adults up to 6'7" and the load capacity is 800lbs (363kgs). Verdict - this scooter is very strong and durable so can accommodate all riders but it is also lightweight enough to carry when needed. It is perfect for if you have to scooter and carry it on public transport. Who's the Hudora 14005 205 Big Wheel Scooter Good For and Why? The Hudora 14005 205 Big Wheel Scooter has 205mm wheels equipped with pneumatic tyres so will offer a smooth, comfortable ride on adult commutes especially if you have to go over rougher terrain Pneuamtic tyres also offer more grip on wet surfaces so great when it's raining. 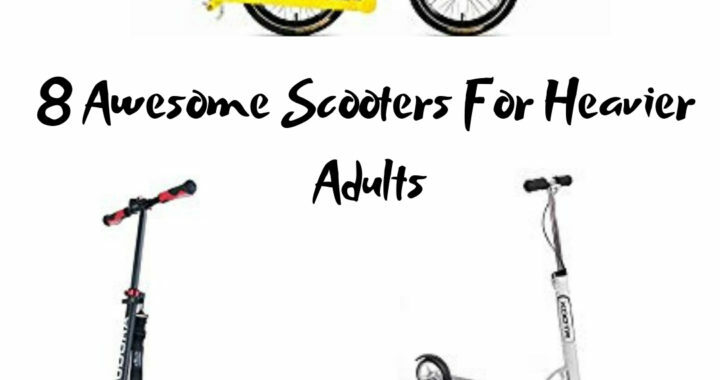 The scooter has a height adjustable handlebar with a large height range it can also be used by older kids as well as adults. The 205mm wheels, height adjustable handlebar, carry strap, adjustable stand, pneumatic tyres make this a good all round commuter choice. Handlebar - the handlebar can be adjusted from 85cm to 105cm so it is a good choice for even the tallest of riders but can be used by children as well. Weight of Scooter - is about 5kg which is fine to carry on and off public transport. The scooter has an adjustable shoulder strap and is foldable which makes it easy to carry when you need to. Rider weight - It will accommodate riders up to 120kg (264lbs, 18.8 stone). Other Features - a front and mudguard helps riders from getting dirty. A kickstand will help you store it upright. A folding mechanism means it can be folded quickly and easily. Verdict - the hudora 230 is a fab scooter for urban commuters who want pneumatic tyres to offer a bit more comfort on their ride and a bit more grip on slippery surfaces when it's raining. Who's the Kick Bike City G4 Good For and Why? The Kick Bike City G4 is perfect for adults between 150 to 190cm (4'11" to 6'3"). It's has big wheels so can pick up some speed when going downhill and on the flat. If you are going up a steep hill, it might be that you have to get off and push. The basket on the front makes it a good scooter for running errands, doing some light shopping but it also makes a great scooter for taking the energetic dog on a walk too. Handlebar - the handlebar is 102cm but the footboard and be adjusted slightly at either 7.5cm or 11cm. Wheels - the scooter features a large 26" front and small 16 rear wheel for maximum freedom of movement very versatile handling. The large wheels can pick up some speed but they also offer stability when going quickly as well. Weight of Scooter - is about 10kg. It's not foldable so not a great choice for taking on public transports. Where to take the Scooter - the scooter is great for urbane environments. Comfortable to ride - Of the stem and a offset Handlebar allows a very relaxed riding position. Verdict - the kickbike scooter can reach high speeds when needed but the smaller rear wheel means that it can be controlled around busier environments as well. It's a great choice for dog walking or running errands in the town or ciy. .